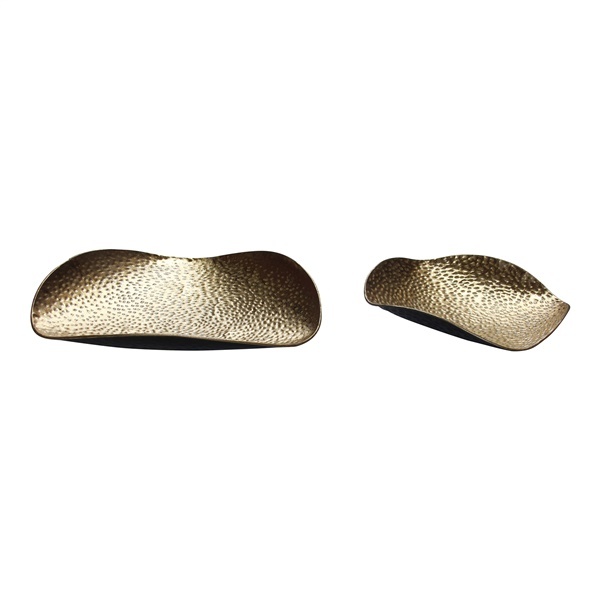 A gleaming touch of glam with an earthy edge is what you get with the Hammered Gold Tray by Moe’s. Crafted of quality metal finished in bold bronze, its visual and textural appeal makes an excellent accent in the contemporary area. Set of two in varying sizes.